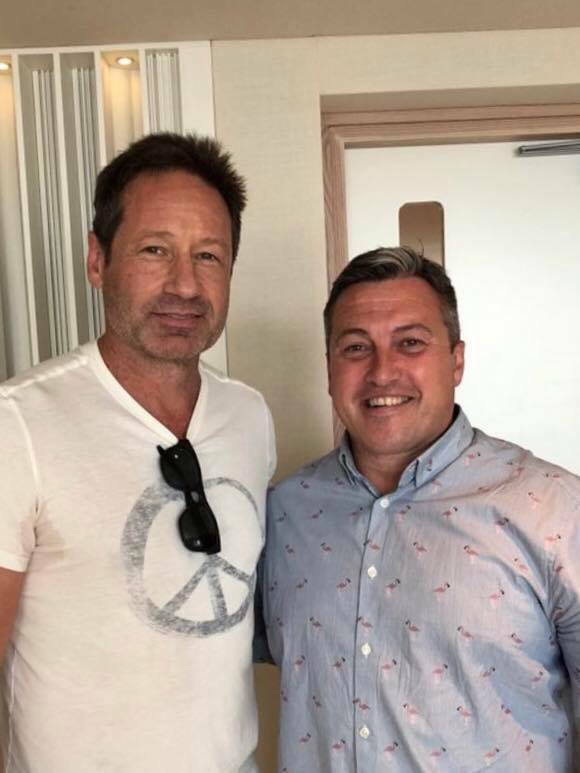 David Duchovny is in the UK for London Comic Con this week. A fan asked for a picture with him at Bromborough Golf Club today. July 27, 2018.